Our team of Galeforce associates consist of high caliber, internationally respected and experienced consultants. We think our people are truly inspiring. Who they are as people , their experience and dedication to this work, makes us feel privileged to have them on-board. Together we deliver and make a real difference, to the highest international standards of coaching, team development and facilitation. Each associate brings unique qualities and specialism’s, enabling Galeforce Consulting, to deliver the appropriate solution for every client situation. We will travel to wherever our clients are located, geographically spread across the United Kingdom, Europe, United States, Middle East and Africa. We have a high attention to detail and are skilful at producing consistent and accurate work. We have a firm grip on reality and know how to make projects manageable. We have the ability to dissect projects into smaller pieces and focus on the detail. We are willing to adapt a stance to accommodate others. We are not overly outspoken and avoid opportunities to express negative feedback. We seek harmony and approval from others. We readily see the world from other peoples perspectives, acknowledging others in a team, and appreciating their contributions. This is about creativity. We look at things in a unique way. Often the ‘visionaries’. We look beyond the reality of ‘what is’ towards ‘what could be’. We make improvements and shake up the status quo. We champion new ideas, even if it means introducing changes of dramatic proportions. We are not afraid to speak up even if others may consider our ideas odd or strange. When faced with a challenge we take a logical route and direct approach to communication which is very ‘to the point’. We’re not afraid of conflict and can be tough negotiators. When others communicate with us, we will value their well thought through ideas. We dislike waffle. Gale, inspires her clients to turn their visions into reality, to develop their impact, presence and authenticity. 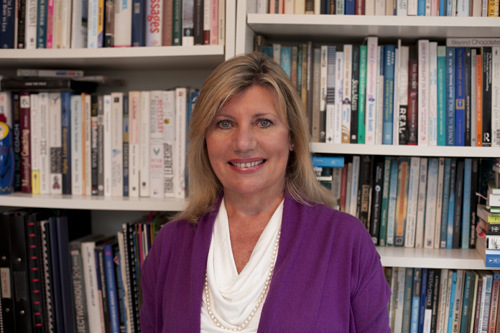 She brings a unique blend of understanding the psychology of human development, together with practical commercial experience gained over 30 years in a wide-rang of coaching situations and leadership roles. She brings experience working in the international public sector, as well as applying her business savvy, acquired as an entrepreneur in the private sector. Her breadth of experience and skill enhances her gravitas to work with clients in a range of sectors and at all levels. Her style is insightful, empathic and creative. She is an NLP master practitioner and is accredited in a range of psychometric tools including Insights, Lumina, MBTI and Strengthscope. Gale’s quest and passion for inspiring self belief and possibility was ignited when she experienced personal development programs in the 80s. At that time she was managing director of a company in South Africa which enhanced commercial environments with plants. After selling the company she moved to the Channel Islands and produced Guernsey’s postage stamps as Director of Marketing, extending her creative and marketing talents internationally whilst continuing to broaden and deepen her focus on leadership. For several years she consulted to postal administrations to transform their bureaux into world class commercial operations. Simultaneously she completed an MSc in Change and formalised the 12 years of learning in personal development training organisations she had acquired through voluntary work. As a result she shifted her professional focus to enabling leaders and their teams to become more effective and more fulfilled through conscious leadership. Sascha (russian meaning helper and defender of mankind) has a 12 year background in business development and strategy in start-up environments, recently leading the initial growth of an ethical business, backed by Anita and Gordon Roddick of the Body Shop. 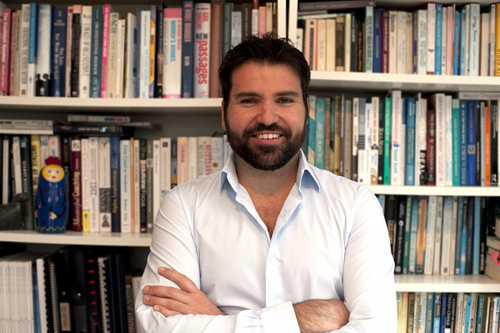 He is a natural performer, facilitator and is passionate about bringing lasting change to organisations. Sascha works closely with Gale and our clients to deliver bespoke programs throughout our global network. He brings 7 years of personal and leadership development experience, using psychometrics, facilitation, gestalt and shadow work. He has an academic background covering management consultancy, organisational change, team effectiveness, HR and business strategy. He is currently doing his research, as part of the Birkbeck organisational psychology department masters programme, to investigate the impact of psychometric personality profiling on team effectiveness.